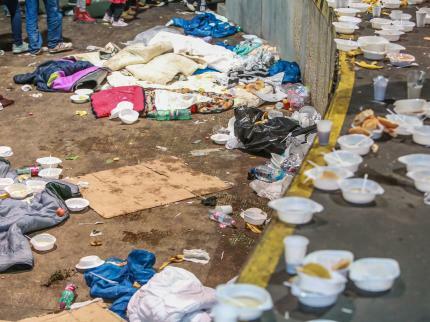 In Austria, where hundreds of thousands of migrants are trekking their way into Germany, they are leaving a massive amount of garbage and feces in their wake. The port-a-potties are filthy and unusable. These people are going to the bathroom everywhere and the filth they leave behind is epic. If a female volunteer tries to assist, she is called a Christian whore. 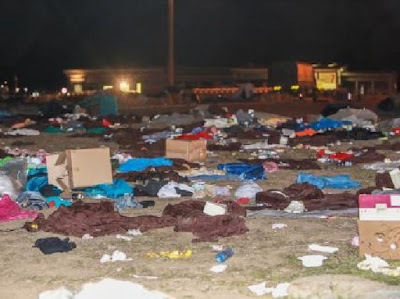 How are the locals supposed to clean this up? There will be disease from it as well. As Fjordman says, this is willful destruction and the greatest organized betrayal in Western history. Almost none of these people are from Syria. This is the Islamic Hijrah migration in full swing and in all it's vileness. This doesn't take into account the rapes and murders that follow these people. It is physical and spiritual filth on display. Many people in Nickelsdorf feel completely let down by their government. “It’s like at the end of the war, back when the Wehrmacht surrendered the area east of Bruck on the Leitha to the Red Army and we were left completely defenseless at the mercy of the marauding Russians”, one man remembers the stories his grandparents told him. Hungary has indeed emptied their prisons I hear. What the leaders of these countries are allowing is unspeakable and unfathomable. The residents in these towns feel conquered and deflated. As if there is no way they can fight back. Their women have not ventured outside for months in fear of being raped and/or killed. 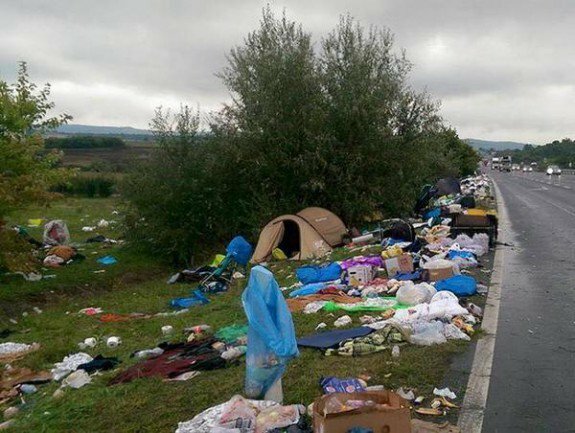 Austria's borders are gone - her sovereignty is no more. Police are not even trying to enforce border control at this point. Again and again, reports are surfacing that the disease Amoebic Dysentery is raging in Austria. The Catholic Church in Nickelsdorf supplied an empty building for the refugees, which after an incredibly short time had to be cleared out again and disinfected after a public health officer’s visit. No precise information is available at this time. “Why don’t we hear and see anything in the media, why are we not being informed about what’s going on here?”, is a question that locals ask themselves repeatedly. The only ones reporting on this are those such as Gateway Pundit, Gates of Vienna and Vlad Tepes. Shame on the media and these so-called leaders. Hey, what's a little do-do among friends. If you can't make it to a third world country, don't worry. They deliver!